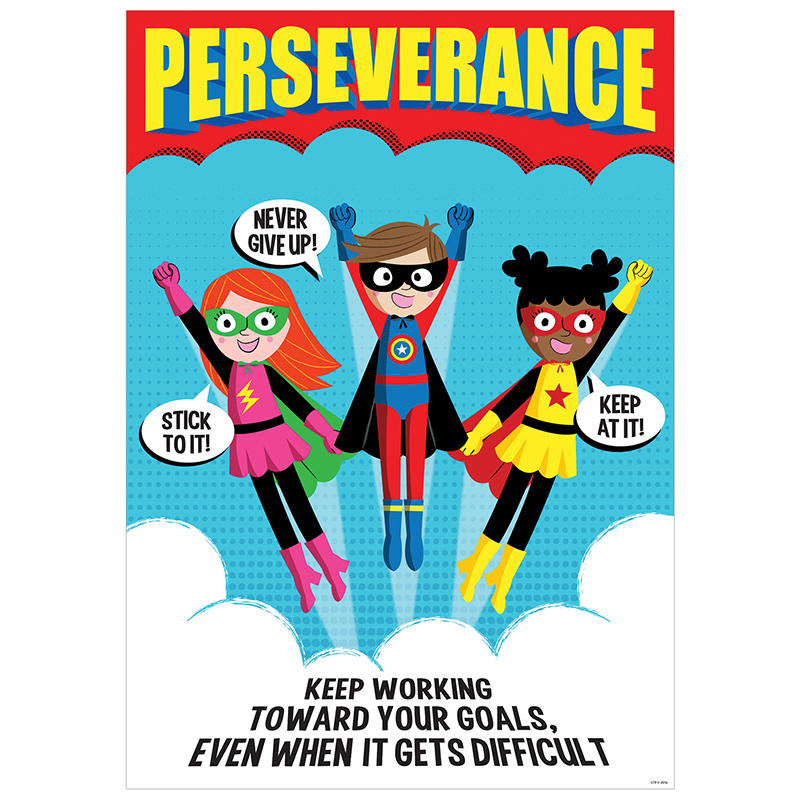 The superhero characters on this poster will help students learn about Perseverance. Perseverance: Keep working toward your goals even when it gets difficult. The motivational message on this empowering superhero-themed poster will inspire students of all ages and teach character education. Great for display in classrooms, hallways, offices, college campuses and more! Perfect for reinforcing anti-bullying message on school campuses. Poster measures 13.375" x 19"